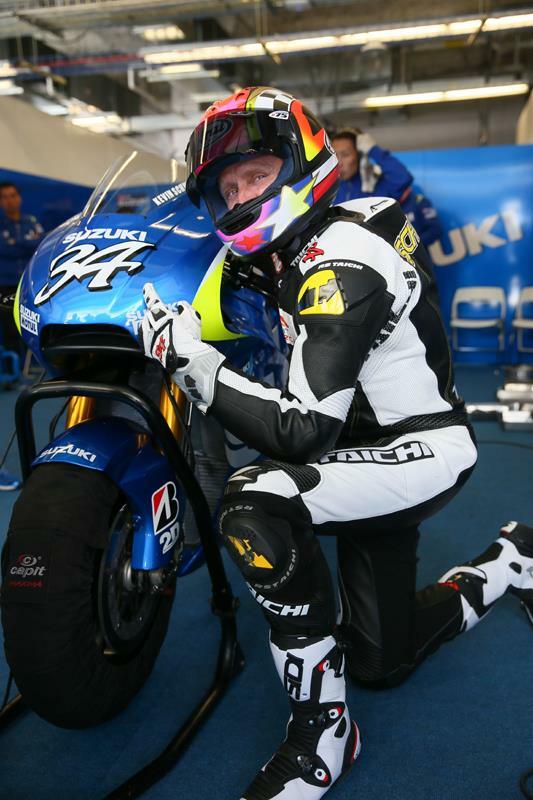 Texan legend Kevin Schwantz has given Suzuki his impressions of the Japanese factory’s new 1000cc MotoGP project at the Circuit of the Americas. 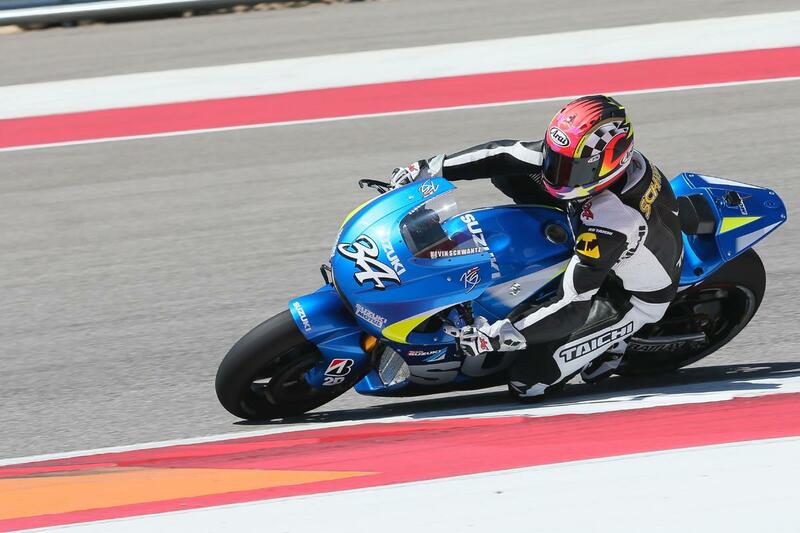 The 1993 world 500cc champion took the opportunity to lap on the XRH-1 machine while Suzuki takes part in a special two-day test session at COTA in advance of its full-time return to MotoGP competition in 2015. Unofficial lap times claimed Schwantz, who turns 50 in June, set a pace in the 2.12 bracket, while current world champion Marc Marquez lapped at a best of 2.03.575. Schwantz has also been riding the Yoshimura Suzuki GSX-R1000 that he will race in the Suzuka Eight-hour endurance later this summer. 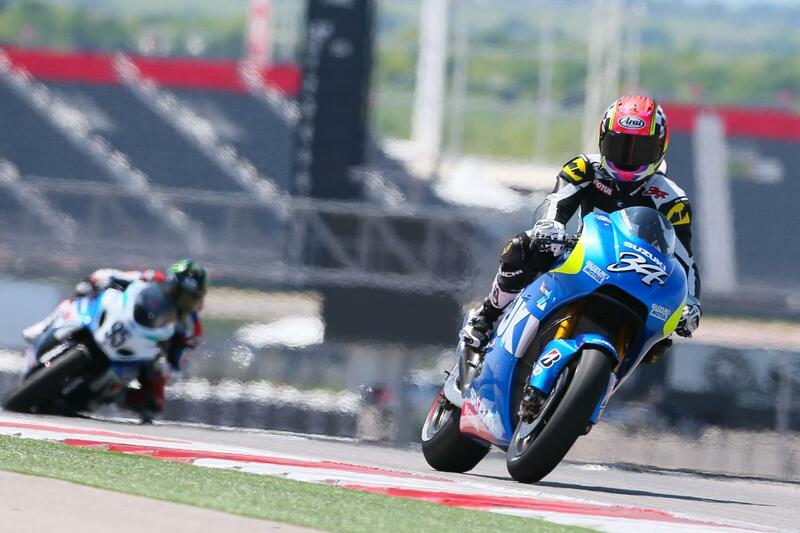 Suzuki test rider Randy de Puniet is also at COTA before the Japanese factory moves to South America for a post race test at the new Circuito Termas de Rio Hondo in Argentina. "I went on the MotoGP machine after riding the GSX-R1000 Superbike and it felt like going from a 500cc to a 250cc bike; the MotoGP machine is so small and compact! The bike turns, accelerates, goes fast; it does everything and I had fun and really enjoyed it. "With this bike you have power and braking so you brake and accelerate and the bike does all the rest. I think Suzuki should race now - the sooner the better! You can test a lot but in the race you really understand."